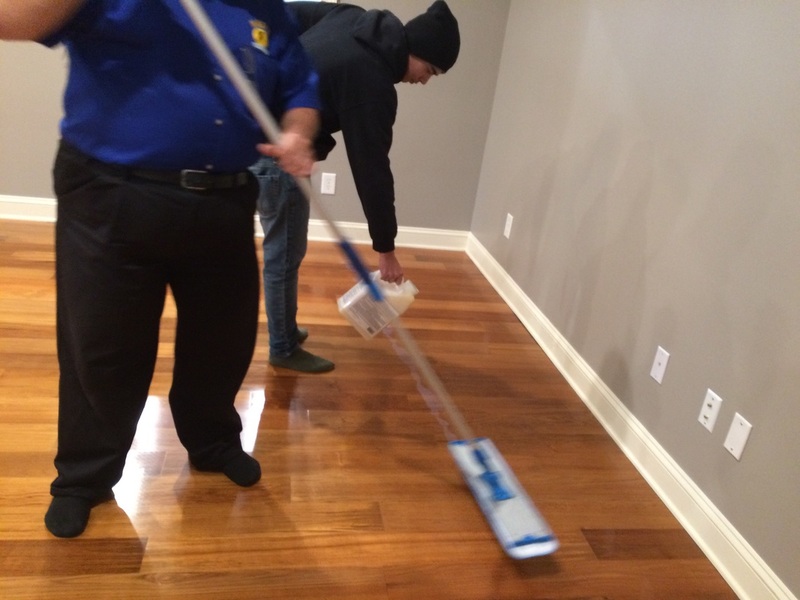 Is your hardwood floor looking dull, sticky and dirty even after trying all kinds of products? Look no more. Mae’s Carpet Cleaning can restore the finish of your hardwood floors to its original beauty. You’ll be amazed by the results of our process. Unlike other methods, our process is low odor, non-toxic, and virtually dust-free. You won’t have to be out of the house for days while it’s drying. Our process will dry the same day and you will be able to walk on it after 4 hours; after 24 hours your furniture can be moved back again. Clean and Maintenance coats your hardwood floors with a combination of our deep cleaning and an application of our hardwood floor re-finisher. First, we remove dirt and debris with our cleaning process, then we’ll coat your floors with our maintenance coat solution. Our fast drying maintenance coat will leave your floors with a uniform, overall sheen. When cleaning just isn’t enough, refinish your floor with our maintenance coat process. Clean and protect your floor with our Poly Coat technology. Our durable, quick-drying Poly Coat will provide a protective layer to your floors. After our deep cleaning process, we will coat your floor with an even layer of our Poly Coat solution creating a barrier against water and chemical damage. In addition to helping your hardwood resist scratching and scuffing, it will leave your floor with a consistent shine and will keep your floor protected and looking good longer.